With the banks shut and cash running out in Athens, Greece has turned into a political pawn in the growing standoff between the Western-led NATO, of which Greece is a member, and Russia. 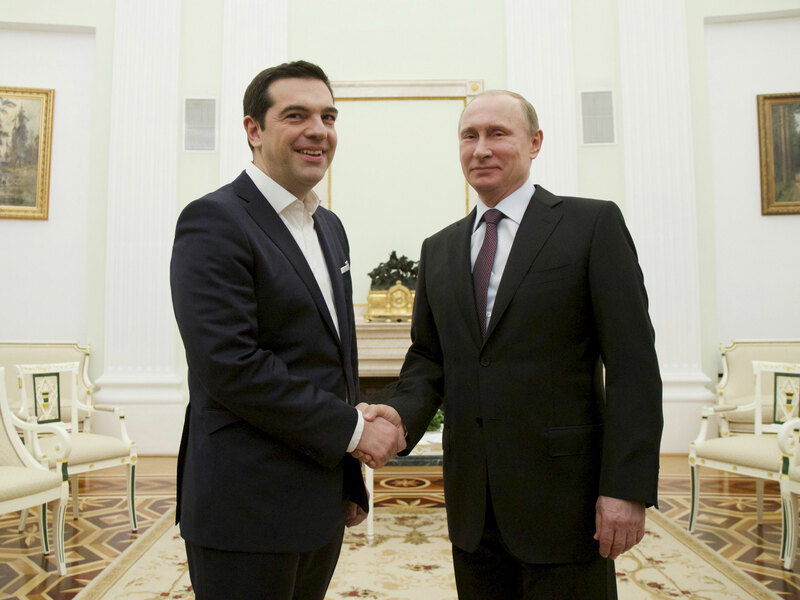 The day after Greece’s historic referendum on the debt relief plan, Russian President Vladimir Putin phoned Greece’s left-wing Prime Minister Alexis Tsipras to express support for the Greek people, cementing the growing relationship between the two that has been building since Tsipras was elected more than six months ago. The International Business Times reports that Russia has told debt-ridden Greece not to worry if it can’t get money out of the EU, it can borrow from the Brics’ New Development Bank to crawl out of its present crisis. Russia had already invited Greece to formally join the Brics, formed by Brazil, Russia, China, India and South Africa, as the sixth member. The Washington Post warns that this could create a security problem for the US. Emma Ashford at CNN reminds us that Greece has a strategically important location in the southeast of Europe and on the Aegean Sea. Closer ties between Greece and Russia raise the possibility that Athens might permit Russian ships the friendly use of Greek ports. This would be a major strategic concern for NATO, allowing Russia to expand its military influence not only in Crimea and the Black Sea, but to obtain a stronger foothold in the Mediterranean. The Greek-friendly Cypriot government, though not itself a NATO member, already permits such use. It’s even possible that a Grexit and closer Athens-Moscow ties could lead Greece to withdraw entirely from NATO, moving instead toward closer security cooperation with Russia. There is precedent: Greece has previously withdrawn from NATO, from 1974 to 1980. While relatively unlikely, a new Greek withdrawal from NATO would result in the loss of strategically placed bases, placing an increasing burden on Turkey to support NATO’s southern security needs. Germany might want to see Greece out of the EU but a Grexit can create massive security issues. It’s a case of be careful what you wish for. This entry was posted on July 8, 2015 at 9:54 am and is filed under Uncategorized. You can follow any responses to this entry through the RSS 2.0 feed. You can leave a response, or trackback from your own site.